Update: This story has been updated to include Secretary Ross’ remarks on the Democrats’ claims about the draft. The Justice Department official behind a December 2017 request for a census citizenship question told lawmakers that he received a draft of the request from a Trump transition official who did not work for the administration, House Democrats said Thursday. 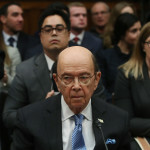 Commerce Secretary Wilbur Ross denied that he sought to add a citizenship question to the 2020 census in order to change how congressional seats are allocated across the country. 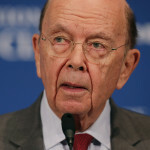 Ross' Weird Census Logic: One Bad Citizenship Question Justifies Another! 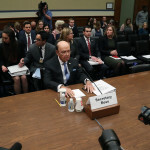 Secretary Wilbur Ross on Thursday pointed to the crappy performance of a citizenship question on a smaller scale survey to defend his move to add it to the 2020 census. 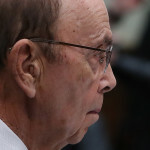 Commerce Secretary Wilbur Ross is in front of the House Oversight Committee Thursday, where he will be grilled about his decision last year to add a citizenship question to the 2020 Census. 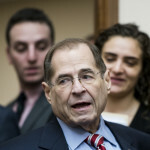 House Judiciary Committee Chairman Jerry Nadler (D-NY) revealed Wednesday new allegations of former acting Attorney General Matt Whitaker’s conduct while leading the Justice Department — allegations that Nadler described as the main “takeaways” from the committee’s closed door meeting with Whitaker. As TPM readers know, Thursday is a big day if you care about the census. And if you care about political representation, the allocation of government resources, or the ability for private businesses to plan their operations, you should care about the census. The remark was somewhat similar to a proclamation made by the judge in Manafort’s case in Virginia as he kicked off the sentencing hearing there last week. WASHINGTON–A federal judge in D.C. sentenced former Trump campaign chairman Paul Manafort to spend an additional 43 months in prison, after a 47- month sentence in his Virginia case, as part of the unregistered foreign lobbying and money laundering case brought by special counsel Robert Mueller. 12:10 p.m.: There’a a lot of talk in press room in the D.C. courthouse about how that math works out. Manafort is also getting credit nine months of time served, meaning he’ll spend another 81 months total in prison. 12:02 p.m.: The judge has sentenced Manafort to 60 months for count 1, the conspiracy charge, but 30 months will be concurrent — meaning at the same time — as the sentence imposed in Virginia. Judge Berman Jackson sentenced Manafort to 13 months for the witness tampering count. That sentence will be consecutive, meaning on top of the other sentences. That means, essentially, Manafort faces a sentence of 43 months prison in addition to the 47 months he received in the Virginia case. 11:51 a.m.: Judge Berman Jackson doesn’t appear happy with the defense repeatedly citing Manafort’s “solitary confinement.” She says the claim needs context and recounts what got him in his current detention situation. 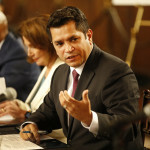 She said the defense’s repetition of the phrase was “disingenuous,” an “attempt to garner sympathy,” more “spin,” and more “lack of candor.” She points out he is being detained away from the jail’s general population for his safety and ticks off several amenities he currently has in his jail cell. 11:40 a.m.: The judge is skeptical whether Manafort is truly remorseful. She says that his apologetic comments Wednesday seemed to be “prompted” by comments made after his remarks in the Virginia case sentencing. “The upshot of defendant’s entire presentencing [submissions] was ‘look what they’ve done to me,” she says. 11:38 a.m.: The judge is discussing his post-plea lies to investigators. Since the plea, he sought to “minimize” his conduct and “shield” others. She says it was “troubling” because “court is one of those places that facts still matter.” She asks: “Was he spinning the facts beforehand to get good deal or spinning them after” to protect people? 11:31 a.m.: Judge Berman Jackson zeroes in on the witness tampering allegations and whether Manafort has accepted responsibility for that offense. “He isn’t being straight about it to me now,” she says, pointing to Manafort sentencing memo that describes him merely “contacting” potential witnesses. “The sentencing memo gave me concern that he really hasn’t accepted responsibility for that offense,” she says. 11:28 a.m: Judge Berman Jackson is now turning to the crimes that are in front of her to consider. “It is hard to overstate the number of lies, and the amount of fraud,” she says. Unlike what the defense suggests, she says that “This is not just a failure to comport to some pesky regulations.” She says he was “lying” to members of Congress and to the public by not disclosing his lobbying. “If the people don’t have the facts, democracy won’t work,” she says. 11:22 a.m.: “This defendant is not public enemy number one, but he’s not a victim either,” the judge says. She says that there was “passion” and “hyperbole” in both sides’ briefings on his sentence. 11:20 a.m: The judge has returned from her recess. 11:06 a.m.: People are getting back in their seats in the courtroom as they anticipate Berman Jackson’s return. 10:51 a.m.: Manafort also added to his remarks here a few lines about his wife and their ages. He says they will need to take care of each other and that “she needs me and I need her.” He says that that the case has “has taken everything from me already,” including his properties and the trust accounts for his children and grand children. He asks the judge not to impose a sentence that will keep him in prison longer than the 47 months already handed down by the judge in Virginia. “Please let my wife and I be together.” After he finishes, Judge Berman Jackson calls a recess that she says will last until 11:10 or 11:15. 10:42 a.m.: Manafort attorneys Richard Westling and Thomas Zehnle also are making arguments on Manafort’s behalf. Westling’s dealing with some technical issues around the money laundering conduct. Zehnle is addressing the witness tampering. 10:37 a.m.: Downing alludes to the “political motivation” involved in the case, prompting the judge to interrupt him and ask him whose political motivation he’s referring to. Is he referring to the prosecutors’ political motivation, she asks. He says no, and that the comment wasn’t directed at the special counsel office. He then pivots to the “harshness” of the media frenzy around Manafort’s case, and asks that the judge consider it when she weighs his sentence. If it wasn’t for Manafort’s “short stint” as a presidential campaign manager, “I don’t think we’d be here today,” Downing says. 10:34 a.m.: Manafort attorney Kevin Downing is now up stressing that Manafort was seeking to comply with the Foreign Agent Registration Act and he’s suggesting that criminal prosecution wasn’t really necessary. He argues that Manafort, through a lawyer, was working with the Justice Department to get in compliance. “The same lawyer that he directed to lie to the Department of Justice?” Judge Amy Berman Jackson asks him skeptically. 10:29 a.m.: Weissmann’s closing argument is that Manafort could have been a leader for the country. “At each juncture though, Manafort chose to take a different path,” Weissmann says. He says that Manafort went on “to undermine and not promote American ideals” such as honesty, transparency and playing by the rules. 10:20 a.m.: Weissmann brings up the foreign lobbying registration Manafort eventually submitted. He says the filing was “woefully false and incomplete” and ticks off various commissions. “It simply isn’t the case that a false and incomplete filing was going to be the end of the day,” Weissmann says. 10:13 a.m.: Weissmann is now turning to Manafort’s failure to register his foreign lobbying. “Secrecy was integral for what Manafort wanted to do for Ukraine,” he said. Weissmann is going into some detail about the Ukraine work itself. He says that Manafort’s lobbying undermined “the very ideal of due process” and was “corrosive” to people’s faith in the political process both here and abroad. 10:10 a.m.: We’re now in the meat of the arguments over Manafort’s sentence. Weissmann is arguing for Mueller’s team and notes Manafort’s claim in his sentencing submissions that he was financially supporting his friends and family. “That, in other circumstances, would be truly admirable. It is less so when it is done with other people’s money,” Weissmann said. 10:09 a.m.: There’s a disagreement between Manafort’s team and Mueller’s prosecutors over whether there should be $11 million money judgment against Manafort. 10:02 a.m.: There’s now a discussion over whether the bank fraud conduct in the Virginia case was also covered in Manafort’s statement of offense in his D.C. plea. Manafort attorney Kevin Downing is arguing that the bank fraud was covered in the D.C. case, so Berman Jackson’s sentence should run concurrently with the bank fraud sentence that the judge in the Virginia case imposed. 9:56 a.m.: The judge rules in favor of giving Manafort credit in the sentencing guidelines for acceptance of responsibility. Mueller prosecutor Andrew Weissmann had tried to make the the case for Manafort not receiving that credit. Manafort is someone who “repeatedly, as the court found, engaged in deceitful conduct,” Wiessmann said. 9:50 a.m.: Manafort attorney Thomas Zehnle is now arguing in favor of Manafort getting credit for acceptance of responsibility. He’s arguing that, on the topic areas that the judge found prosecutors proved he had lied, those topics don’t relate to the criminal conduct he’s admitted to. He notes that she did not find the government had proved that he lied about witness tampering, which is one of the charges Manafort pleaded guilty to. 9:44 a.m.: After a meticulous explanation of the legal issues involved, Berman Jackson upholds the probation office’s leadership role enhancement. 9:39 a.m.: We are now in a very technical discussion about the sentencing guidelines in the presentencing report. Manafort attorney Richard Westling is fielding Berman Jackson’s questions. Defense wants the guidelines to reflect that Manafort has accepted responsibility for his crime and they also object to the presentencing report’s leadership role enhancement. 9:29 a.m.: “All rise.” We are beginning the hearing a minute early. 9:22 a.m: We’re a few minutes out, and from the broadcast in the media room I can see Manafort’s lawyers milling about in the courtroom. Prosecutors Andrew Weissmann, Jeannie Rhee and a few other members of Mueller’s team have taken seats at the government’s table. 9:00 a.m.: Manafort’s legal team has arrived at the courthouse, big filing boxes in hand. I also spotted Uzo Asonye —a federal prosecutor in Virginia who helped Mueller with his case against Manafort there — enter the courthouse and greet Manafort’s lawyers with a handshake.